Diamondback bikes - What do you need to know before buying. A few years ago, Diamondback was known for budget bikes but what’s really behind it? Let’s have a look inside Diamondback bike reviews. Diamondback’s history dates back to 1977 when it was first founded in Washington, USA for BMX brands. In the beginning, they concentrated only on BMX rides and also sponsored riders which made them become well known back then. The bike brand name was initially Diamond Back (And DiamondBack) but later changed to Diamondback. In 1982, Diamondback launched their first MTB model called Ridge Runner. It was a Specialized Stumpjumper and the world’s first production of mountain bikes. They launched the Diamond Back Racing (DBR) in 1998, which is dominant in the global mountain bike scene. This saw them win many awards ranging from the US men’s National XC championships to a bronze medal in the Atlanta Olympics Women’s XC. So, it’s quite impressive! Since then Diamondback bikes have been constantly improving mountain bike scene. They hold patents for the Knucklebox suspension platform, which is a feature on high-end Diamondback mountain bikes. Also, they are improving their bike types and sub-categories (like alternative hybrid bikes etc.). As you can saw in this Diamondback bike reviews, then history is quite long. Diamondback offers a variety of bike types – from BMX to Triathlon bikes, $150 to $8k bikes and comfortable women bikes to race-oriented men road bikes. That’s pretty impressive, right? However, the main types which DB offers are road, mountain, hybrid and kid bikes. Some bikes are also pre-assembled! In every class, they offer different models for both men and women. And to go even deeper in this Diamondback bike reviews – there are sub-classes such as hybrid entry-level, pro and more complex hybrid classes. There is almost something for everyone. The fact I will like to share with you is that Diamondback sometimes mix frames and that’s why you could find a road bike frame with hybrid bike wheels etc. Diamondback Atroz is a line of entry-level and beginner full suspension bikes aimed at those who are just starting out on the trails. Currently, there are three models available, named Atroz 1, Atroz 2, and Atroz 3. If you like them, they’re quite affordably priced between $699.99 and $1,399.99. The Clutch line is a bit more advanced than the Atroz line and it’s intended for riders who have some experience on the trail already or are more serious about off-road training. There’s only one model on offer right now, called Clutch 1. If you feel this iFor Els a bike for you, it can be yours for $1,999.99. Catch models are mid-level full suspension bikes made by Diamondback, with cycling enthusiasts in mind. If you are looking to upgrade from a more basic MTB model, the Catch series is for you. The two bikes available are called Catch 1 and Catch 2 and you can purchase them for $1,999.99 and $2,499.99, respectively. Read more on Catch review. Release models are great for riders who are not afraid to press harder on the pedal and ride the trails more aggressively. You can choose from three models in this line, with price tags on them varying between $1999.99 and $2,999.99. They are named following the same pattern Diamondback always uses – Release 1, Release 2, and Release 3. The Overdrive line has a little bit of something for everyone. It has one model for absolute beginners, one model for entry-level riders, and another one for riders who are in the middle of their cycling journey. All three are 29ers and priced $599.99, $1,499.99, and $1,999.99. Overdrive 3, the most expensive one, is a full carbon model. Hook, Line, and Sync’r are three very similar models, which is why they are put in the same basket. They’re entry-level and mid-priced models perfect for commuters or recreational riders. There are three models in total, one of each kind, priced between $699.99 and $1,199.99. All three have aluminum frames and 27.5″ wheels. Diamondback Mason series is intended to simplify things as much as possible. There are two models in total, called Mason 1 and Mason 2. Mason 1 is quite affordably priced at $799.99, while Mason 2 is a bit more expensive at $1399.99. They can be perfect both for weekend cycling warriors and for those who want to do a hard cycling workout every chance they have. Ladies have something to look forward to when browsing Diamondback’s catalogue as well. The Lux and Rely series are intended for female riders who use bikes to commute or to take easy going rides through forests or on local trails. The Lux series has three models priced from $529.99 to $1,099.99, whereas Rely has one model (which is a bit more advanced) and priced $1,399.99. El Oso means ‘Bear’ in Spanish, which is a fitting name for this line of sturdy-looking fat bikes. They’re great for guys and gals who like going into extremes and frequently ride on rocks, sand, or in the snow. There are three models available, named El Oso Uno, El Oso Dos, and El Oso Tres. They cost between $749.99 and $1.999.99 and they look mighty cool. The Century line has a little bit of everything. You could go from being a complete beginner to a road cycling pro, without buying any other bike than a Century model. The six models in this category are priced between $699.99 and $2.699.99, three of which are made of aluminum and the other three are full carbon. Diamondback never disappoints their loyal female customers, which is why they’ve developed the Arden line. It is comprised of two aluminum and two carbon models, with prices starting at $949.99 and reaching $2,099.99. They’re perfect for entry-level female riders who like to go against the wind and those who are more competitive and workout-oriented. The Haanjo series is made for those who live for adventure and like taking risks. There are 7 models in total in this category, perfect for taking the path less traveled. If you frequently ride on gravel and dirt roads, but you don’t want to lose the speed of a road bike, investing between $599.99 and $2,699.99 in one of these models is the solution. The Haanjenn models are built with the same idea in mind as the Haanjo ones, only this series is for women. There are three models here altogether, and they’re more basic than their male counterparts. The pricing starts at $599.99 and tops at $949.99. If you want a more advanced option, feel free to buy a Haanjo model and just change the seat and the stem. Did you know that Diamondback makes triathlon bikes as well? Their triathlon series is called Andean and consists of three awesome-looking models. Since they are high-tech bikes, extremely aerodynamic and resembling spaceships, their prices are $4k, $6k, and $7k. They also come fully pre-built and ready to ride. Mountain bikes – 20” and 24” series + fatbike and kid’s full-suspension. 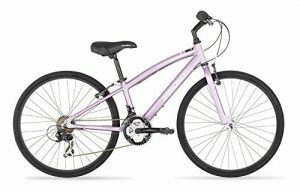 Diamondback offers a selection of women-specific bikes as well. Clutch – MTB – The Clutch series has one model which is intended for ladies who already have some cycling experience on the trail and intend to expand it. It’s called Clutch 1 and it costs $1,999.99. This is a full suspension aluminum model. Lux – MTB – The women’s Lux series has four models at the moment. They’re called Lux 1, Lux 2, Lux 3, and Lux Comp, and they’re made for ladies who like riding off-road, but not too aggressively. They’re priced between $529.99 and $1,099.99, so they’re great for entry-level riders. Rely – MTB – Rely is a hardtail women’s series consisting of just one model, called Rely 2. this is a mid-range bike, with 27.5″ wheels and women-specific saddle and stem. If you need a bike to do light to intermediate training with, you can get Rely 2 for $1,399.99. Arden – Road – is a group of Diamondback’s road bikes aimed at their women riders who do not want to go crazy on their wallet but still have a decent aluminum or carbon road bike to go on group rides or tackle steep hills. They are priced from around $1,000 to around $2,000, which is a great price for a carbon road bike. Haanjenn – Road – The Haanjenn series is created for strong and adventurous women who are not afraid to take matters into their own hands and take a detour from time to time. There are three models, priced below $1,000, made of aluminum and really good-looking. Read Bicycle Guider’s Haanjo & Haanjenn overview. Ok, let’s cover the other aspects too. What I really like is Diamondback’s warranty system. Frames have a lifetime warranty and full-suspension mountain bikes have a 5-year warranty. If something’s wrong with your frame, just contact Diamondback. I’ve read that sometimes it goes really fast and at other times takes a bit more time. It’s pretty much the same thing with all the frame manufacturers. It is important that the issue is due to ordinary usage. If you crash your bike into a stone and it rips, then it might be 50-50. If you use your bike like it’s meant to be and something happens, then it’s totally under Diamondback’s warranty. That’s why it is important to choose the right type of bike for your needs. However, warranty issues are something rather rare. I’ve never read any Diamondback warranty issues too because their frames are quite strong. However, it’s good to know that you are protected. To see discounted bikes, go to Diamondback through this link. There you’ll see the bikes, which are currently discounted. There aren’t Diamondback coupons online but you’ll get the discounts using this link below. There are always some discounted bikes on Diamondback. That’s the most popular question I’ve been asked in my bike reviews. How hard is to assemble a Diamondback bike? This concern is understandable since all the bikes online come partially pre-assembled. Well, to give you an honest answer, you need to know your experience. Adjust the gears in front and rear. YOU MADE IT! Inflate the tires, find the right saddle height and handlebar Check EVERY bolt and nut in your newly attached bikes! If you’re having troubles with it, you can always bring it to your local bike shop or just order bike assembly from Amazon. Also, the Diamondback’s assembly instruction will help you. There are also ready-ride series for those, who don’t want to assemble their bikes after purchase. What does it mean? 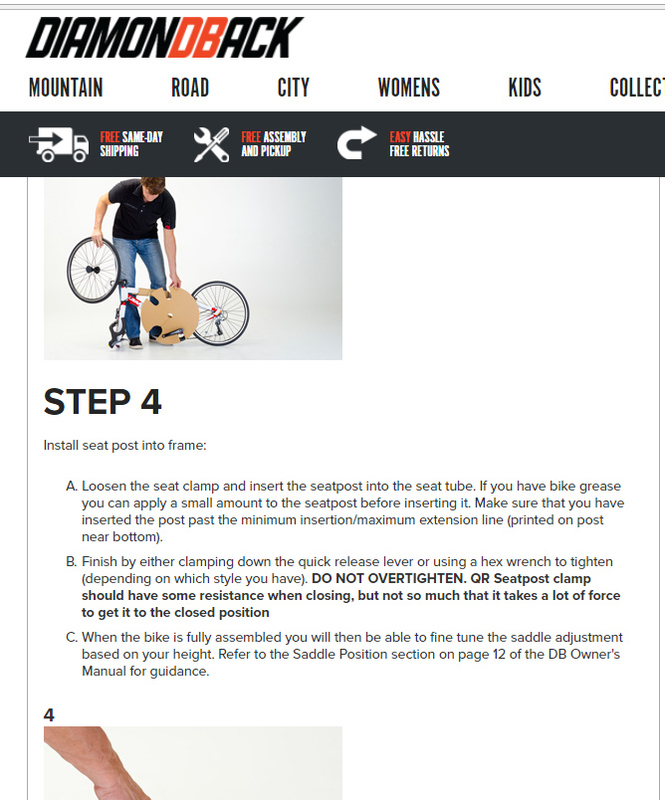 Basically, you just need to attach the seat, front wheel and pedals– a 2 min job! A guy comes to your home and does the hard work for you. Click here to see more from Amazon. They will do the hard work again. In this case, you can be sure again that everything’s done the correct way. Diamondback makes different sizes for all of its models. Typically they have 3 to 5 different sizes. When adjusting the stem and saddle, you should easily find the best position for yourself. Also the second most popular question I’ve been asked – how to get the right size bike? One disadvantage of buying a bike online is that you can’t try it first. However, since the trend is on the rise, there are good size charts below every bike and I have also written about it. All you need to know is your size (or leg inseam height) and all the other things are made with the size graph. 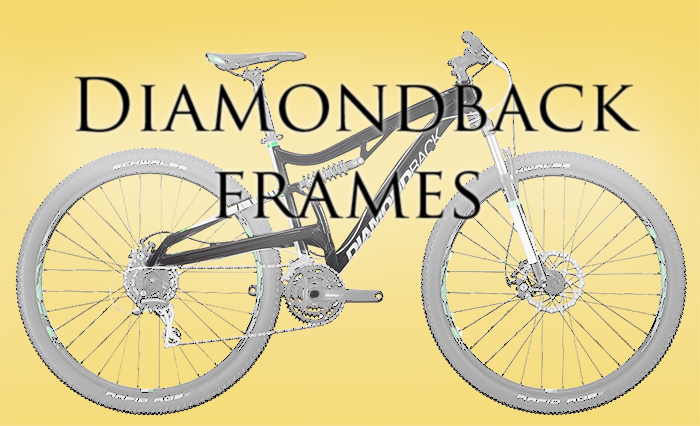 If you finish reading this Diamondback bike reviews, then you can check the right size below. It’s pretty easy to choose the proper bike and I’m written about it on different reviews. If you’re between two sizes, I suggest you take the bigger size. For the size chart, click here. Also, if we talk about the tire sizes, then, of course, they are different. Quite often I see that not-so-well-known-brands go with the old design and 26” mountain bike tires. But Diamondback bikes have 20 and 24-inch tire sizes while mountain bikes have 26”, 27.5” and 29” wheel sizes. How Much Diamondback Bike Cost? 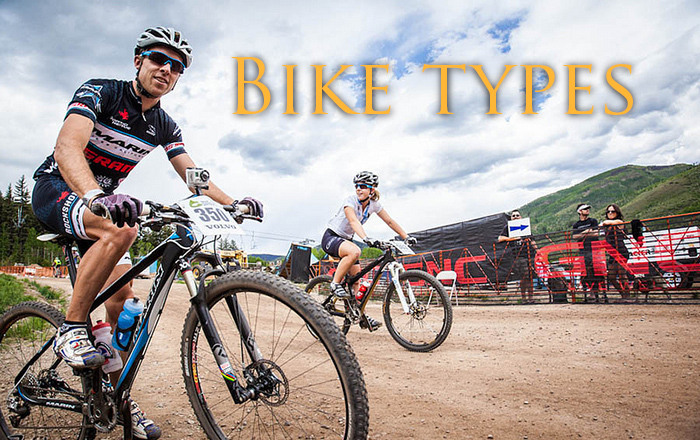 It’s the same thing with everything in the world – your price depends on which bike you need. Prices range from $200 and end up on $10k for super-road bikes. However, they are typically cheaper than their competitors. 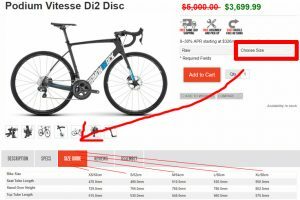 Let’s say, for mountain bikes around $500, I’ve made quite some research and found out that they cost $200 – $400 less than other bikes with similar quality. One thing which stands out is their quality and price balance. Diamondback bikes tend to offer more quality. How do they do it? It’s quite simple – they don’t have warehouse and shopkeeping costs, because their model entails selling online. That’s 20-50% saved and used to improve bikes. For road bikes, you can start somewhere around $450, same for hybrid bikes too. If you are a serious rider, then you can go up to $3k. So, as you can read in this Diamondback bike reviews, they offer a wide range of bikes with fair prices for everyone. Frame materials start from Aluminium 6061 up to carbon frames. On their top-notch road bike Vitesse Di2 they use frame material called Carbon Technology, Specific Modulous, Monocoque Competition Road Frame. It is hand built by the way. There are also different frame designs for women and for men. Entry-level bikes have more upright positions and race-oriented bikes have lower positions for an aerodynamic position. The one thing they keep in mind is also the aerodynamic aspect. Some models have extraordinary frame designs too, like Haanjo where the frame makes a very sharp angle. I personally like geeky things and this is one of them. That’s one of the nicest designs in this Diamondback bike review also. In the bike industry, it is a balance between the price and the quality. Frame and components make the price. You pay more, you get better components. However, I’ve researched hundreds and thousands of bikes and found out the “quality line”. 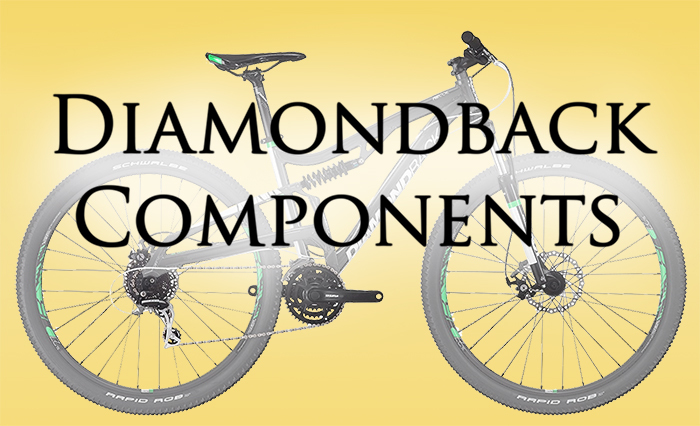 For beginner bikes, Diamondback tends to offer low-end Shimano components. It is pretty rare to see non-Shimano parts. You probably know but I want to give you a quick overview of this Diamondback bike review – Shimano parts are the most popular parts back from 1970. They have a good hierarchy of different classes. Those components go up to Di2 top-notch electrical class. Sometimes there are SRAM components seen (Shimano’s main competitor), and they both do fine. There are some parts, which they make themselves – handlebars, stems and saddle posts. Not always, but they do. You know what? What I like about Diamondback bikes is that I see a huge effort they put into providing decent parts (depending on the price). Diamondback uses SR Suntour and Rockshox shocks for first hand. Sometimes there are others too but those two are decent picks. Where To Maintenance Diamondback Bikes? 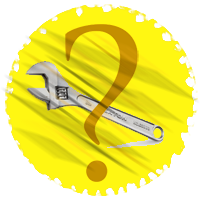 Let me make one thing clear – where you do your bike maintenance doesn’t depend quite much on the bike. Since Diamondback sells most of its bikes online, there’s a good reason for this. They don’t link you up with any bike shop. Contrary to cars, bikes are something all local bike shops can handle. If there’s Fox suspension and you need to service it, then you might have to send it to some other state but not always. One important thing to keep in mind is to have a bike with the right group-set. What does it mean? 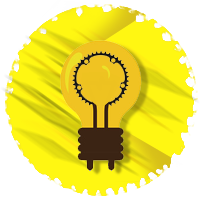 It means if you constantly do maintenance on your bike, your bike is probably too cheap for your needs. Let’s compare it with others. Diamondback is a runner from the start of Diamondback. Yes, Schwinn is with a long history but comparing with Trek and Scott, they have quite the same pedigree. I’ve seen much more discounts for Diamondback then known brands. That’s also the reason that Diamondback can push more effort to produce a good bike because they sell online. What you want to look in the first hand is the components. They make a pretty big stake of price. If you compare the prices with others, then you can get a decent comparison. You can also check the weights but they tend to be quite the same for bikes around $500. What we want to say in this Diamondback bike reviews is that when comparing Diamondback with other bikes than definitely, they’re competing. 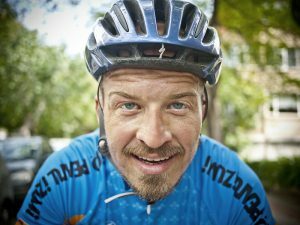 Endurance/Road Bike Sale! Save 20.19% on Select Models for 2019! 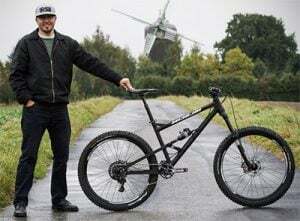 NEW 2019 models; Hook/Line/Sync'r (aggressive design Hardtails)! Shop all models now! Plus Free Shipping! UP to 40% OFF 2018 Closeouts! Mtn, Road, Gravel, and MORE! Diamondback definitely makes bikes which can compete with others well! 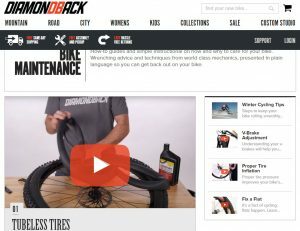 As you read in this Diamondback bike reviews, their sales model is online-oriented and do it pretty well. Their wide range of different bikes should give opportunities for everyone to enjoy biking, from Sunday riders to pros. On the downside, if you decide to buy a bike online, you can’t try the bike first. That’s why it’s crucial to do your homework by checking for sizes and reading reviews. When I started reviewing bikes years ago, it was quite hard to find any good information about sizing for current models. So, to wrap it up, Diamondback makes decent bikes which are up-to-date and reliable! So just do your homework here on the best models here and make a good pick! Where to buy Diamondback bikes?